Nowadays, growing number of people and companies are utilizing the web for information and study the market. 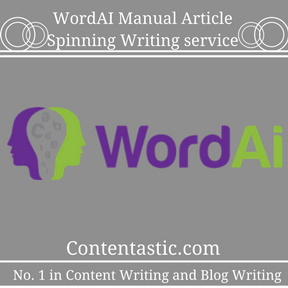 Because of this, many web developers’ content writers, authors and researchers are using the manual article spinning technique by using the Word AI manual spinning. 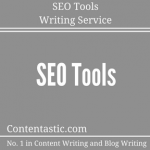 It is a search engine optimization (SEO) technique which article writers and other authors use to rephrase or to create an entirely new article. 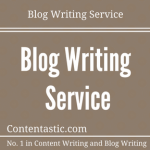 The purpose of this techniques is to rephrase an old article to avoid plagiarism or to create an entirely new article or document. The technique rephrases the old article and creates new articles which competes and matches with the human created articles. Moreover, the article spinning software and plug ins use artificial intelligence to find out the sense and the level of grammar which is being used in the article and transforms it in to a new article or simply rephrases it. Authors use it to avoid plagiarism and to create the same articles again and again with different words. However, this technique is also being used by many authors to revise the same article while avoiding plagiarism. The technique works to replace the existing words, paragraphs, phrases, sentences and the entire content. Authors use it sometimes to replace the words by their synonyms, paragraphs, phrases and sentences. 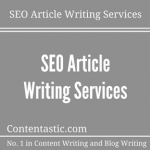 However, the technique initiates its work by optimizing the article’s words or articles online and after finding the matches it starts to change the desired area of any article or document. 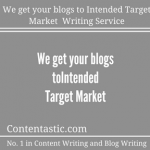 This process can be done manually or automatically depending up on the author’s consent. 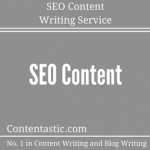 The purpose of this technique is to generate a filter content for a site, which avoid to detect the document on search engines and to avoid plagiarism issues. However, it also disables search engines to find the document with key words and headings. This allows the authors to make his work easy by replacing anyone’s article with his own by minimizing the threat of copy and paste. The technique requires spintax or spin syntax, which is the list of sentences, phrases, words or sentences and synonyms that are embedded into an articles. The techniques replaces words, sentences and phrases as requested by the writer, each new spin of that article will be slightly less unique as the number of spins increases. In this section we will go through the process of spinning the document by these techniques or spinning methods in order to make better understanding of the AI manual spinning. Under this technique, the AI simply replaces the requested words with their synonyms. However, rephrasing has its own pros and cons. Moreover, the old days’replacement procedures have been replaced to new, innovative and advanced methods and the old ones are outdated. The old methods cannot understand the grammar sense in the sentence and therefore they are unable to find the best match which will be able to make the perfect connection among the sentences. However, the latest spinning tool can understand the relation of grammar among sentences, and can best match the words with their synonyms. Moreover, this latest software such as Word AI can safely find those synonyms which will not be detected as plagiarism, and even the plagiarism checking software will be unable to detect them, but this can only be done by manual spinning. Since, the plagiarism checkers are smart enough to find out the replaced words and phrases with synonyms and can easily detect them. However, manual word spinning is a bit time consuming but less risky as compared to automatic spinning. Sentence rewriting can also be done automatically or manually but manual spinning is recommended in this case to. 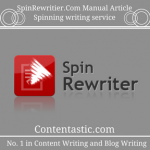 Since, there are many automatic spinning software like Word AI, spinrewriter etc. can easily spin the document manually and also they are less risky as compared to desktop based spinning software like best spinner, spin chief and chimp rewriter, however these are less time consuming spin software but they are very risky since, plagiarism checker can easily detect changes made by this software. Paragraph spinning is known as the most typical and difficult task while spinning any document. Since, it requires a lot of time as well as the reader’s attention. In this process where the writer should have to spin each sentence while understanding the level of grammar, its complexity and the relation words and their meaning. After understanding these thing, the writer will be able to change the sentence which will look completely different but will have the same meaning. As we know that human written articles are unique and nothing can compete the human though process however, its manual spinning or automatic spinning. But these days we have the most efficient software which reduces the human load and competes closely to the human though process, known as the Word AI. This unique spinning software which uses the most developed artificial intelligence which is nearly to the human though process, and because of this AI the software is able to rephrase words, synonyms, sentences and paragraphs in a way that advanced plagiarism checkers cannot detect it. If the authors copy someone’s document from the original source without asking the permission for the use of the document or he ignores the copy rights and other legal considerations and publish the same article online. He can be challenged for legal considerations, while if the author continues to rewrite his own article again and again by spinning it, don’t have to worry about anything. 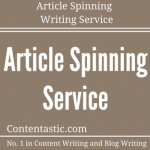 As we got a fair idea about the advantages and damages of manual article spinning but in this section we will discuss about the pros and cons of this technique. 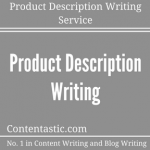 As far as concerning with the pros of the Manual article spinning, the main advantage of using this technique is it cannot be easily detectable by plagiarism checkers and the user can easily replace the desired words, phrases, paragraphs and sentences. However, under this technique the writer can easily understand the grammatical sense and can easily replace the words or phrases with suitable synonyms. Moreover, the user can easily replace words, phrases and sentence with others which will look different but will have the same meaning and same sense. In addition, the document which has been spun manually are less risky as compared to automatically spun document, since the search engines will be unable to find out the manually spun document and can easily detect automatically spun document. If we talk about the disadvantages of manual article spinning, we can say that there not many cons as automatic spinning has but the major disadvantage is that manual spinning is time taken and most expensive. Since, the writer has to completely understand the article then to replace it with the desired technique. This take a lot of time and it’s also very costly to any company. Finally, if we summarize the whole article we can say that spinning articles and document whether manually or automatically requires the writer’s attention moreover, we can say that the best idea to spin any document is to spin it manually in order to avoid risk of being detected by plagiarism software. However, it’s quite time consuming but far safer than the automatic technique.